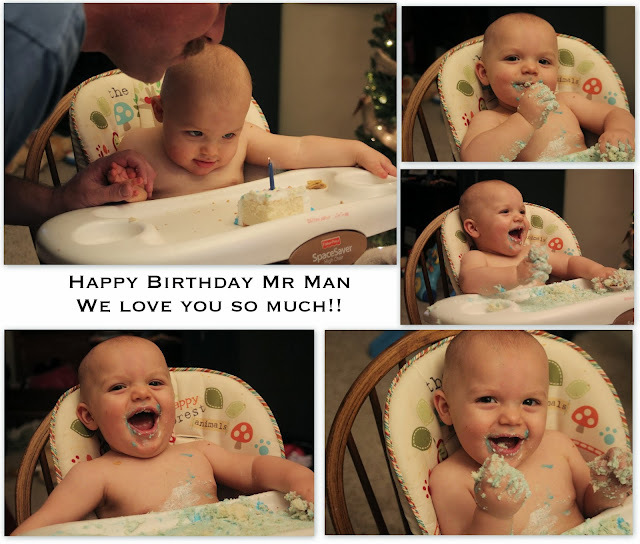 So last night we celebrated Mr Man turning 1. Nothing big just a little family dinner with cake and ice cream. We will be having the BIG shindig at Thanksgiving. I only had a small freak out that it was all over everything. Good job buddy.